How do I know if my child needs a neuropsychological assessment? 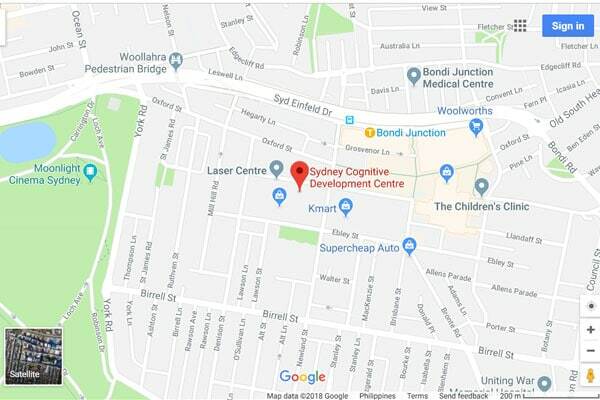 At the Sydney Cognitive Development Centre (SCDC) we see a variety of children with various developmental disorders, attention disorders (ADHD), learning disorders, neurocognitive processing problems, social issues, psychological problems, behavioural issues, and other visual/auditory processing problems. It can be very confusing to know if you child is 'neurotypical' or is having symptoms of a neurocognitive disorder. It can also be concerning when your child is exhibiting behavioural issues to know if these are normal developmental changes or indicative of something deeper. One way of putting your mind at ease is to call in and meet with one of our psychologists. From there if we think concerns are warranted we can give standardised screening questionnaires to the family and the teacher. Our screening includes 12 different disorders & concerns including attention problems (ADHD), anxiety disorders, depression, behavioural disorders, social concerns, autism spectrum disorder etc. If concerns arise from this, we will then recommend an assessment if felt warranted. Only at the assessment phase will your child need to meet with the psychologist, hence screening is a viable alternative if you do not necessarily want your child involved. What is the difference between a paediatrician assessment and a neuropsychologist's assessment? Our centre is unique and one of the only centres in NSW to assess the child’s complete profile including cognitive, learning, visual, auditory, social, emotional and behavioural domains. We also have vision and language therapists should these areas also need assessment or treatment. Paediatric assessment is very different as they use a more medical way of looking at a disorder like ADHD. Doctors tend to use behaviour checklists and need to refer to a neuropsychologist for any depth formal testing of cognitive skills such as attention. Doctor will tend to rule out other medical causes, take blood tests (eg. for anaemia), or look at issues such as head injury (and may refer to a neurologist). They also tend to offer therapies they can provide, such as medication, as a first option. Neuropsychologists cannot prescribe medication, hence they will look at other options such as cognitive training, psychological therapy and neurotherapy. Neuropsychologists also tend to be more hands on, offering parenting advice and visiting/talking to schools if required. In regards to learning disabilities and psychological disorders, these need to be assessed by a psychologist. How long is the wait list for an assessment? You will be able to arrange an intake call with one of our case managers usually immediately (same day). All our administrative staff have 4 year psychology degrees and can conduct intake and start the assessment process by sending off questionnaires. An initial appointment can generally be made within a fortnight of the intake call. Assessment dates can vary and you will be informed of the next assessment date at intake. We usually have a wait list of 4-8 weeks for a neuropsychological assessment, although we do have some sessions available for emergencies. If we find on the questionnaires behavioural and emotional issues, we can even start therapy to address these concerns prior to any formal neuropsychological assessment. If the concerns are only psychological in nature, you will be given the next available spot with one of our psychologists. How much do you charge for child assessments? As all child assessments are individualised, we have a list of prices for each separate assessment. In regards to neuropsychological assessment, each test has a different cost. We will be able to send out our price lists upon request. At the initial consultation with the psychologist we will create an individualised assessment plan so you can determine the precise costs. Sometimes however we may find results during testing which may not be expected, and we may discuss with you some minor additional testing. These additional costs are usually very minimal. Why do I have to pay a deposit when booking a neuropsychological assessment? We require a $180 deposit to confirm the assessment appointment, which is deducted from the total cost on the day of the assessment. The deposit is used to secure your assessment block and cover the cost of parent and teacher questionnaires which are sent out to start the assessment process. The deposit is required as we book out a 4 hour period that day with one of our neuropsychologists. This includes up to 3 hours of assessment and 1 hour of feedback. What types of adult assessment do you offer? Our team at the SCDC provide a range of assessments including adult ADHD assessment, general cognitive assessment, and Autism Spectrum Disorder (ASD) assessment. How long is an adult ADHD assessment and what is involved? We offer an ADHD diagnostic and treatment clinic for adults. The assessment procedure includes a 1-hour diagnostic interview, followed by a 2-hour cognitive assessment. Following this, our Clinical Neuropsychologists will review other comorbidities and processing problems, and provide a written report with recommendations and treatment options. How much will a neuropsychological assessment cost? Neuropsychological assessments are charged by the actual test, and at the initial consultation we will determine the range of tests that need to be conducted and give you a break down of costs. If you would like to see a full list of all our assessment prices so you can get yourself an estimate, please click here to receive a copy straight into your inbox. How much will an ASD assessment cost? An adult ASD assessment is charged per hour as the assessment times can vary dramatically. Simple cases that are not ASD and can be immediately ruled out can take less than an hour, standard ASD assessments usually take 2 hours, and more complex cases with other comorbidities (such as other psychiatric issues) can take longer. Assessments are charged at $250 for the first hour, and $220 for subsequent hours. If reports or forms need to be completed by the psychologist, this will incur extra costs according to length. What types of psychological therapy do you offer? At the SCDC we treat all ages, from children to adults. Obviously the age of the patient as well as cognitive level will play a role in the type of therapy offered. For younger children we adapt standard CBT and ACT therapy and incorporate this into play therapy. We offer parenting for children too young to engage in therapy (ie. we empower parents to help modify their children's behaviour). From children from the age of around 7 we can do more traditional cognitive behavioural therapy. We tend to mainly use techniques from CBT as well as ACT (acceptance and Commitment Therapy). For adults we like to do the same therapies but will tend to have a more mindfulness orientation than with kids. We also offer Mindfulness-based Stress Reduction and Mindfulness-Integrated CBT. We tend to individualise therapy for the individual, making sure we empower each of our patients to walk away with effective strategies for any of their problems. How many sessions do I need to be in therapy? At the SCDC we aim to give you strategies to help improve your life. We don't believe therapy is just about talking about your issues, but about finding either different ways to approach your issues or helping you develop strategies to think about life issues in different ways. Our aim is to give you life long techniques to improve quality of life, rather than stay in therapy forever. In fact, the shorter the amount of sessions you need before you feel you can fly on your own, the more effective we have been as psychologists. Our cognitive training program is a unique, highly individualised program based upon principles of neuroplasticity. This involves retraining the actual brain pathways for improving core skills and compensating for weaker cognitive areas. All training involves a weekly one-on-one session with our cognitive trainer, who will guide your child's core skill development through each phase of the program. Stage 1: Basic core training. At this stage abstract tasks are presented to build core skills that need to be trained. For example, if a neuropsychological assessment has identified weaker working memory skills, this area will be targeted during the training. This stage also involves training the child in concepts of generalisation, so that strategies taught are also applied to new and novel tasks. Stage 2: Real world task training. We will then introduce activities faced in the 'real-world' that are affected by the underlying cognitive weakness, and train the child to develop this skill by applying the strategies learnt in stage 1. A variety of tasks are practiced at home, alongside in-clinic training with our cognitive trainer. These activities modify everyday tasks that may normally be faced by the child, however the processing demands of the tasks are adapted to promote learning and re-wiring of the brain pathways. At this stage we will confirm that the cognitive areas being targeted during the training are being generalised to the educational environment. Depending on the neuropsychological profile of your child, an individualised program is created based on their strengths and weaknesses. The Cognitive Training program generally runs over a 10-week term (a weekly one-hour appointment). We also offer school holiday programs, HSC workshops and year 7 preparatory courses with our cognitive trainer. Neurofeedback, also referred to as EEG Biofeedback, is a state-of-the-art, therapeutic training tool that can be used to improve a variety of mental health conditions, as well as increase cognitive skills. It aims at training people to self-regulate their brain through awareness of internal brain states via computerised feedback of their brainwaves. Slow wave activity in the brain is associated with inattention and sluggish processing, whereas fast wave activity is associated with mental activity, heightened alertness, and more focused attention. Hence through suppressing slow wave and increasing faster wave activity, we can increase focus and attention, as well as enhance calmness and relaxation (i.e., create optimal regulation). What does a neurofeedback session involve? In the neurofeedback sessions, sensors are attached to the scalp and the electrical signals of the brain are amplified and analysed to display real-time brain activity data. Tasks are presented to the client which are then conducted through adapting one's brain waves according to feedback on the screen. This is done via operant conditioning, by changing brainwaves through rewarding the desired response. What is a qEEG and why is it needed? A qEEG (or brain map) pinpoints what areas of the brain are not processing information in a well regulated manner. This identifies potential root neurophysiological causes of cognitive, mood or behavioural issues. The qEEG is not diagnostic, but is an objective assessment that we find is very predictive of certain disorders. How many sessions of neurofeedback are required? The number of neurofeedback sessions will depend on the diagnosis, severity of issues, and how significant the brain waves are dysregulated. For patients with ADHD the scientific research has shown that patients are able to regulate their brainwaves within approximately 40 sessions, with some studies showing stable benefits after 5-10 years. We usually aim for 40 sessions for patients with ADHD and mood issues, however patients with autism spectrum and epilepsy typically need longer. Tic disorders may also need longer depending on severity. Headaches, migraines and sleep issues we have found can be treated in less sessions. Is there an electrical current going into the brain? No. Neurofeedback is non-invasive and highly effective at altering brain dysregulation without the risk of harmful side-effects. Sensors are attached to the scalp and the electrical signals of the brain are amplified and analysed to display real-time brain activity data. Neurofeedback can be conducted whilst clients are on medication, however unlike medication neurofeedback provides the possibility of treating the brain dysregulation underlying the symptoms. This possibility of treating causes rather than symptoms makes neurofeedback a highly unique and innovative therapy. Long-term research has shown stabilisation of attention skills after 5 and 10 year follow-up studies, showing superior results to medication. Is there scientific evidence for neurofeedback? Neurofeedback has been practiced clinically for well over five decades, with scientific research dating back to the 1960s. Hundreds of thousands of individuals have benefited greatly from this effective and established intervention. Neurofeedback is now well established as being a top level scientific treatment for attention disorders in particular. For a complete review of the science visit www.neurofeedbackalliance.org. Do you prescribe medication at your centre? Whilst we are able to clarify a diagnosis, as well as assess the efficacy of medication with an on and off medication assessment, we do not prescribe medication at our centre. We provide treatment options including psychological therapy, neurofeedback therapy and cognitive training. A referral is not necessary to book an appointment, however is required if you are seeking to claim through Medicare for a psychological consultation. With a correctly dated Mental Health Treatment Plan from your GP, you may be eligible to claim $84.80 for up to 10 psychological consultations.